Carte de L'Isle de Ceylan. Amsterdam, Covens & Mortier, c.1730. 500 x 575mm. Coloured. 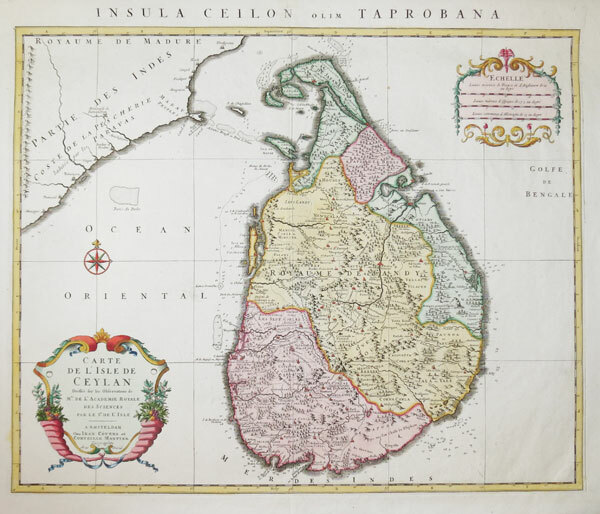 A large and colourful map of Sri Lanka, with rococo cartouches for title and scale.